Since it's the holiday season, here's another great video tip from us at Eights & Weights. This time, we're focusing on how to do a lunge. Watch, share, and let us know what you liked or didn't like about it (besides the fact that the angle makes me look short and wide...lol). We'd love your feedback! Happy Thanksgiving to those in the US and Happy holiday season to all our readers! Have Time to Watch TV? Then you have Time to Train! You have heard of TV dinners, but have you heard of TV workouts? The problem with us adults is that after a long hard day, we just want to curl up in front of the TV till we fall asleep. And while the body needs rest, letting the television be a substitute for exercise can do a lot of damage. Take a lesson from kids. They run around till their bodies are basically breathless, and then they run around some more. Exercise during commercial breaks: An hour-long TV show is technically about 42 to 45 minutes. So unless your TV time is limited to your DVR, you have at least 15 minutes every hour to do something. So maybe crank up some music and dance. Dancing is great cardio because it’s really just carefree jumping around. Work out while you watch: You have not watched a commercial since the invention of the DVR? You can still work out while your focus is on the TV. Stick to repetitive exercises you don’t need equipment or heavy concentration for, like jumping jacks (or star jumps), push-ups, abdominal exercises, yoga stretches, etc. Set tags for exercise bursts: Another option is to jump up and do something when a particular action occurs. For example, if it’s a romantic show, do a minute-long jump rope session every time there’s a kiss. If it’s a thriller, maybe do a round of push-ups when scary music plays. Stretch while you watch: Yoga does require some concentration, but it also allows you hold positions for an extended period. So you can decide to hold one pose per scene or something like that. And since you can’t tell how long a scene would be, it’s pretty unpredictable. Add to your list of favorite TV shows: There are shows that inspire even more of a workout. You can make sure you get those into your list of regularly watched TV shows. Some examples are: So You Think You Can Dance (and most dance shows), Biggest Loser, Thintervention, etc. Wondering what exercises require barely any equipment and allow you to stare at the TV? ...and many more. The key is to get up and just start doing something. Thank you for the support on our video last week. Look out for more! You guessed it! This week, Eights & Weights is making a video debut. In our first video, we're going back a few weeks to the sit-up topic. Hopefully, you'll get better tips as it is demonstrated in the video. We'd really appreciate your comments, feedback, questions, and concerns. Subscribe to our Youtube channel to see videos in the future. Simply click on "NEW! VIDEOS!" on the menu above. Is Organic Really, Well, Organic? It is a known fact that people would unconsciously pick the organic version of food over the regular if both options were the same price. In fact, people unconsciously go the extra mile and rate organic food as better tasting and lower in fat. But in today’s world, is “organic” more than a simple buzzword? Organic meat, poultry, eggs, and dairy products come from animals that are given no antibiotics or growth hormones. Organic food is produced from plants that were grown without using most conventional pesticides, fertilizers made with synthetic ingredients or sewage sludge, bioengineering, or ionizing radiation. So technically, third-world style. If you're in a third world country, you're most likely already eating organic. The fact is that most organic food has not been proven to contain fewer calories, and has not been proven to be more nutritious than conventionally grown food. The trick manufacturers use is that they sell “organic” as “natural” but these are two different things. For example, you can say white rice is organic if you didn’t grow it using pesticides or synthetic fertilizers, but white rice is heavily processed. Conversely, you can say brown rice is not organic, but it is natural and unprocessed and much better for you. This is not to condemn organic food though. The pesticides, fertilizers, and other products actually may have long-term effects besides your waistline. The chemicals have been known to affect our long-term health, and may be promoters of diseases like cancer. Besides, health is not the only reason people want to go organic. Some people do it for humane reasons, and others do it for environmental reasons. So what organic food should we truly truly care about? Dairy: Organic dairy contains higher levels of omega-3 fatty acids. Meat: Organically raised animals tend to have less saturated fat. Thin-skinned fruits and veggies: For veggies and fruits where the skin is eaten (like strawberries and potatoes), it is a good idea to stick to organic as much as possible because the chemicals easily seep through the fruit or vegetables. Chemicals usually can’t seep through fruits with thick skins like bananas so being organic or not usually doesn’t make a difference. Also, processed foods like chips and cookies barely have any pesticide residue since we don’t eat them raw. 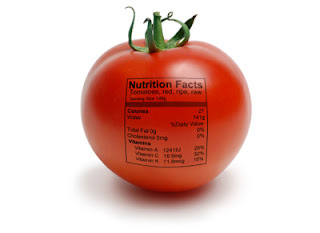 What does the “organic” label mean? The good news? Governments have established rules on what can be called organic or not. And so companies cannot just slap on a Government-Certified-Organic label if it isn’t. However, small manufacturers can still slap on a crappy organic label so pay attention. The Government-Certified-Organic label tells you that a product is at least 95 percent organic. Not 100, but 95. If you want something that is 100 percent organic, the manufacturers would usually say “100% organic” on the label. Again, organic is great, but an even better option is natural unprocessed foods. Look for items that have very few ingredients, and try to stick to ingredients you can pronounce where possible. Forget about labels. Because a company says "all natural" does not mean much nowadays. Pay attention to the ingredients! Questions, comments, concerns on organic or natural food? Ask away!